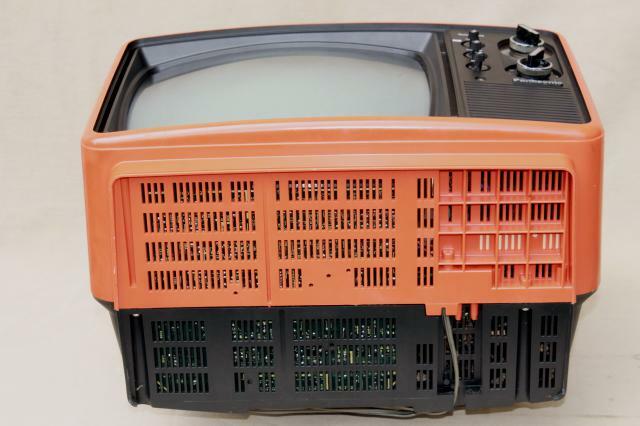 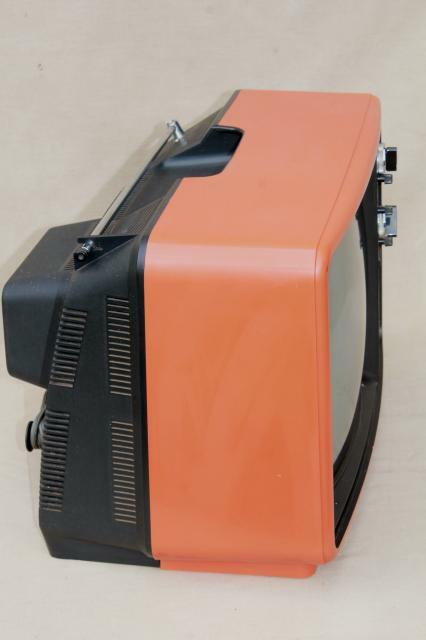 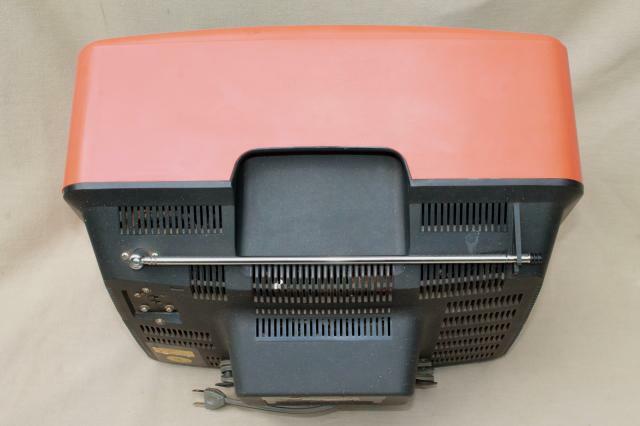 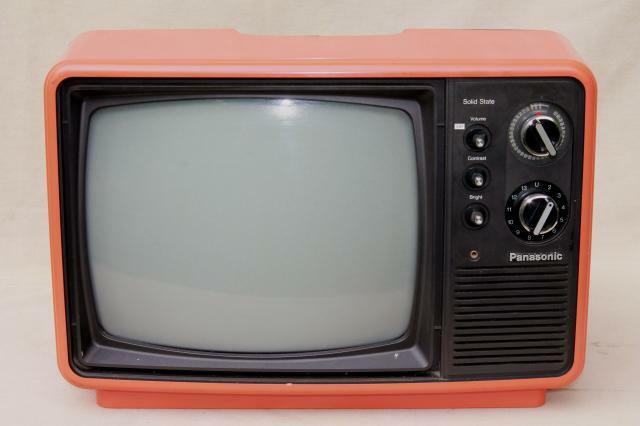 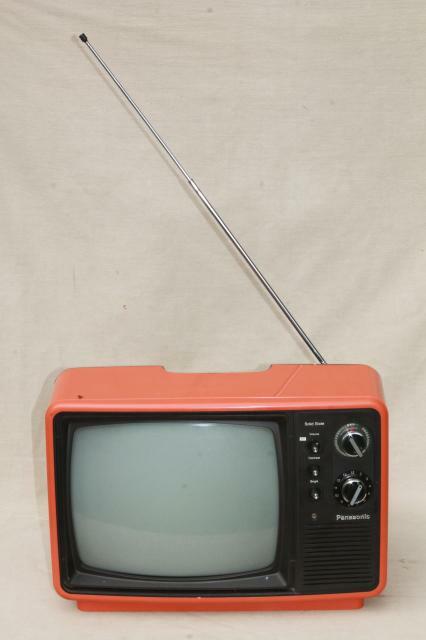 mid 70s portable tv set in bright mod orange! 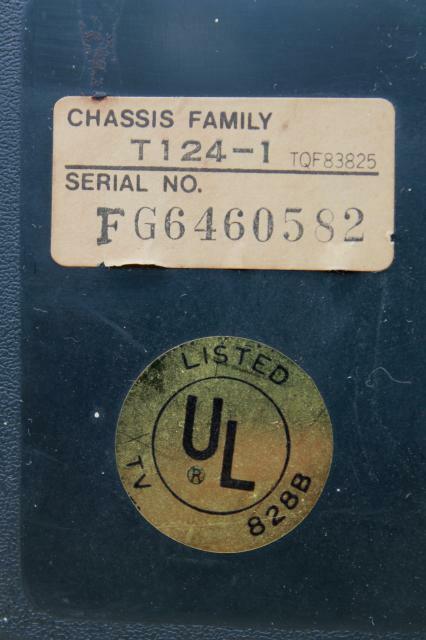 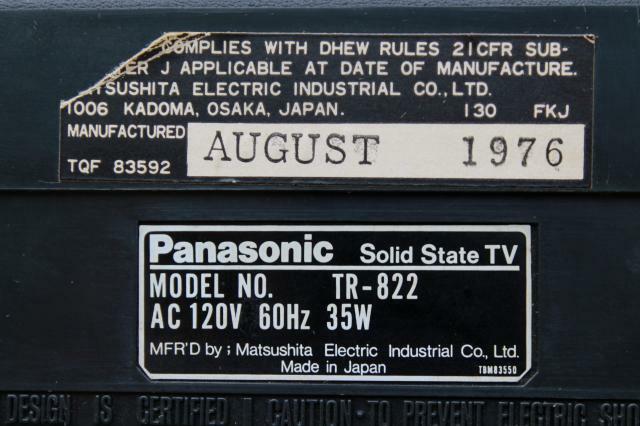 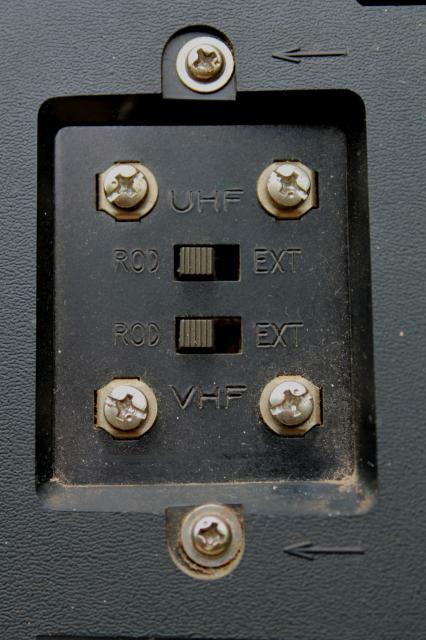 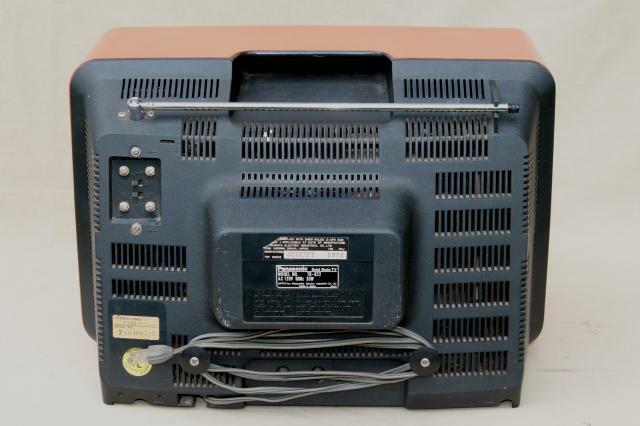 It's a Panasonic solid state transistor TR-822 (B&W) with a single telescoping "rabbit ear" style antenna. 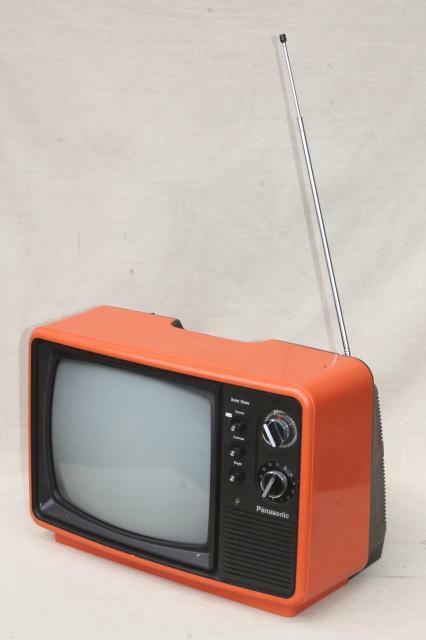 It's dated 1976... a terrific photo prop. 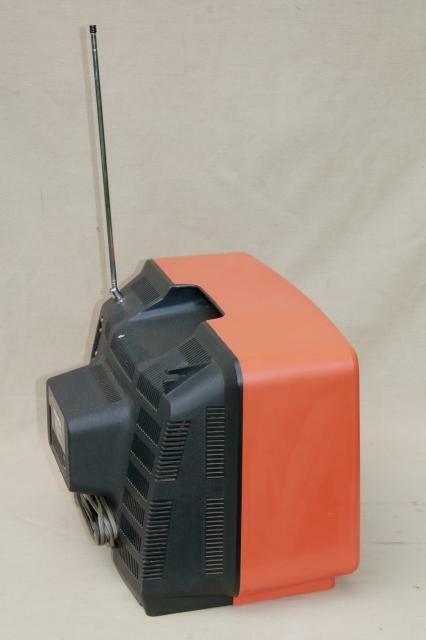 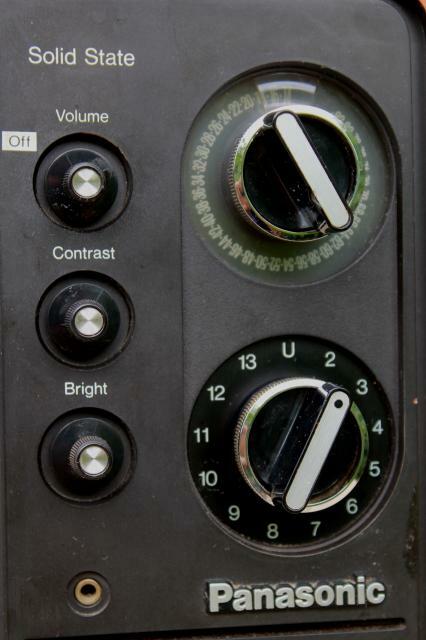 This looks good cosmetically and it produced snow and static when we plugged it in. 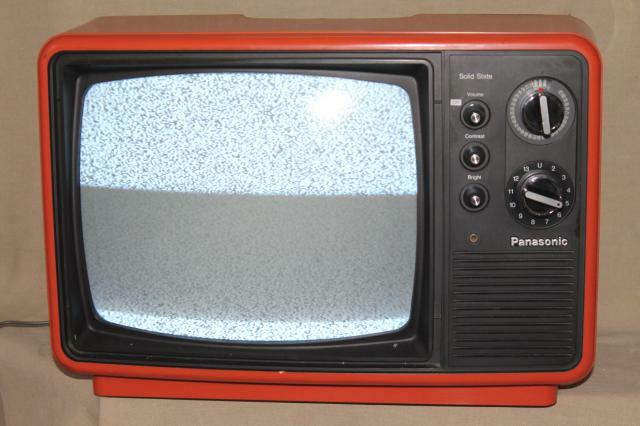 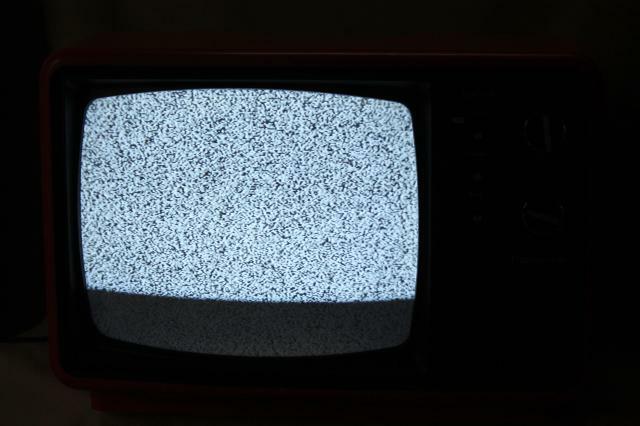 We don't think it will pick any over the air signal, since all broadcast TV is digital these days, rather than analog.